With Apple’s announcement of the new iPad2 on March 2nd we thought it a good time to look back at our year with the original iPad. We wrote about a number of game related functions for the iPad when it first came out and for the most part all of those have remained solid to one degree or another. Games:While there are literally tens of thousands of games for the iPad we have actually not found very many that have truly impressed us. There are still no true wargames for the iPad but there are a few that are close and a handful of classic games. By far our favorite game is Samurai. It is a faithful reproduction of Reiner Knizia’s classic board game, which has always been on our Top Picks list. Red Rover is another favorite. It is two-player only but is a fun WW1-themed breakthrough game. Bang! is an excellent port of the classic card game but is still waiting on lots of updates. Play is currently excellent but limited. Steam Birds is a fictional turn-based air combat game that is quite challenging. Carcassone is another faithful reproduction of the board game. 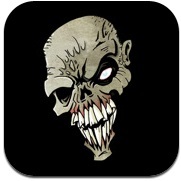 Zombie Escape is actually an iPhone/Touch game but looks great on the iPad. It is a blast. You lead your poor civilians to safety as you dodge and kill zombies. Neuroshima Hex is yet another board game port that is very well done. Knights of Charlemagne is another Reiner Kinizia game. Not real flashy but a lot of fun. Strategery is a simple, fun turn-based strategy game. Galcon Fusion is a simple, fun sci-fi realtime strategy game. We do wish they’d add a bit more meat to it. European War and European War 2 are two well done Risk-like strategy games. They need better instructions on how to play but if you mess around with them awhile you’ll figure it out easily enough. The scenarios are still broken but the campaigns work just fine. Dominion HD is a very nice Risk clone with a few twists. Assault Commander, Assault Commander Bravo and Assault Commander Advance are basically Panzer General clones. 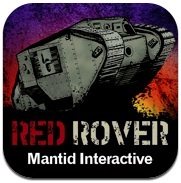 They are not as slick as the original PG game but provide some good play and come the closest to what we would call a true wargame for the iPad. iBomber Defense is a nice tower defense game with a WW2 theme as is Last Front HD. Viking Lords is a Battlelore clone that does a pretty good job. Civilization Revolution is a fun Civ game that gives a reasonable challenge. Zombie Dice is a port of the classic dice game. Simple and silly but it cracks us up every time. Brrraaaaiiinnnsss! Game Aides: This is certainly one area where we’ve been disappointed. So far there are very few gaming aides available for the iPad. Most surprising Lone Wolf has still not come up with an Army Builder app although their various export formats are usable on the iPad. Where are the Battle Chroniclertype apps? Because of the cost of development it is probably just a matter of time or perhaps there is a need for an easier app development tool before we will see more in this area. Role playing gamers have a bit better selection in this area than us board/mini gamers. Pip is a good die roller. iRoster 40k is a basic 40K army roster app. 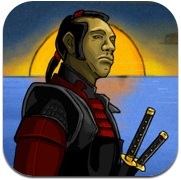 Conflict of Heroes – Mobile Reference is actually a mobile site that can be saved as a local ‘app’. Works great and very handy. Game Reference: As we originally thought the iPad really shines in this area. Its ability to display PDFs, and other docs, in full color and at close to full size — not to mention the Safari web browser — makes it an ideal eReader platform. You can literally carry thousands of docs with you at all times. As more companies release PDF versions of their charts and rules — and don’t forget the endless supply on BoardGameGeek— life only gets better. GoodReader is still our favorite all around PDF reader. It even does basic PDF annotati0ns now. It also reads just about any other doc file as well as plays audio and video. iBooks can also read PDFs plus of course .ePub files. Pages is still the best word-processor if you need to create/edit formatted documents on the iPad. Simplenote is great if you can get by with just plain text. It syncs to the cloud so you can get at your notes from any computer with Internet access. Numbers is still the best spreadsheet app. Goodreader will display most Excel files but if you need to edit them Numbers will probably do the trick. Game Reading/Entertainment: This is another area in which we’ve been disappointed. Certainly the Web is loaded with content of course but there are no new gaming epublications that we know of designed for the iPad or launched since it came out aiming at the epub market. None of the major players in the hobby have moved towards iPad/tablet publications. The one major exception to this of course is that Black Library now releases all of their publications in various ebook formats. But this is fiction and not the sort of game/hobby reading we are talking about specifically. Where is White Dwarf in .ePub? Thankfully the many excellent gaming websites and social media services, such as Twitter, help fill the void. Battlefront does a great job of putting out loads of material in PDF but still nothing aimed at tablets or anything on the core rules/army lists. Battlegames magazine is available in PDF as is Line of Fire. All New Paradigms: This is another area where we haven’t seen any real progress yet. 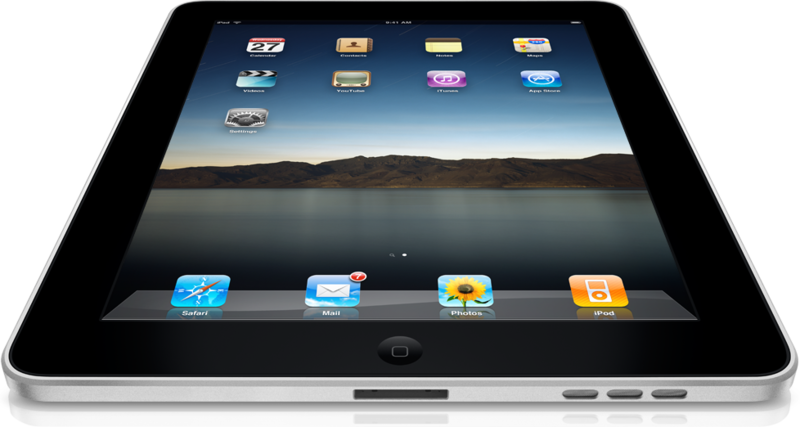 Is is possible the new iPad2 with its increased horsepower and cameras combined with FaceTime could begin to have some impact. But there is still nothing even approaching VASSAL for the iPad that we know about. We would still love to see an app that aides in hidden setup/movement for a miniatures game. Role players probably have the closest thing we have seen yet with Dungeon Mapp. It allows you to not only create maps but handles hidden areas and line of site. We would love to see such a thing for a historical miniature’s table layout. Of our three initial complaints with the iPad: File management, lack of printing and multi-tasking two have been solved. Both printing and multi-tasking are now features of iOS. Printing is still poor but can be made to work. Multi-tasking is not true multi-tasking but close enough. File management is somewhat less of an issue now thanks to DropBox as well as the ability to send files between apps (plus GoodReader). But we still wish for a central storage area. Without a doubt the tablet is here to stay and will only get better and better. If you have not checked out the iPad you really need to give it a try. Of course Apple is not the only game in town — The Motorola Xoom is now out and we hope to get our hands on that soon. It may be the first good Android tablet. We should also mention the Barnes&Noble NookColor. At only $250 it gives a lot of the basic document and browsing functionality of the iPad for a fraction of the price — and with a jailbreak it also makes a nice general 7″ Android tablet. If you want to see your gaming life improve on tablets be sure to let your favorite game and magazine publishers know you want them to support the platform and we will hopefully begin to see more and more good stuff. Also see our look at the iPad3.